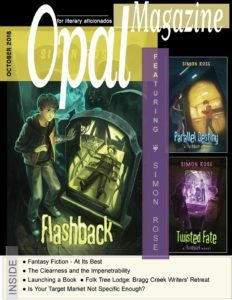 “Canadian author Simon Rose is an instructor for adults with the University of Calgary and Mount Royal University and offers a variety of in-person and online workshops for both children and adults. Not only doe he offer teaching and coaching for writers but he also is a successful author – especially for children’s and YA books. 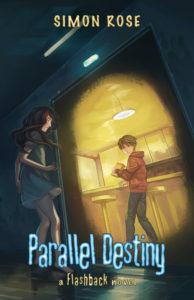 PARALLEL DESTINY is book three in this Flashback series – a trilogy (so far) of time travel science fiction novels meant to stimulate the imagination of youngsters to explore not only literature but scientific possibilities that may just become realities in their lifetime. “This is another great book written by Simon Rose one of Professor Owl’s favourite authors. We have been honoured to review several of his books which we have always found to be an entertaining read. This was certainly another great read. Max is haunted by a girl with green eyes. He ignores the odd visions, but then he meets the girl face to face. Her name is Julia, and she and Max knew each other once, in another world…and now she needs his help.